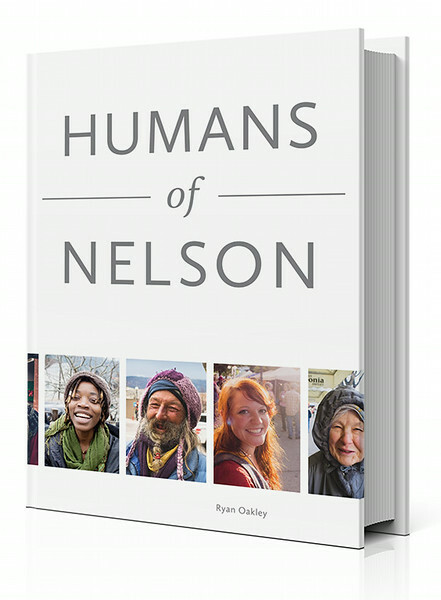 With more than six thousand loyal fans, the Humans of Nelson is a beautiful, touching, funny, and inspiring collection of photographs and stories celebrating our individuality and capturing the spirit of Nelson, British Columbia. 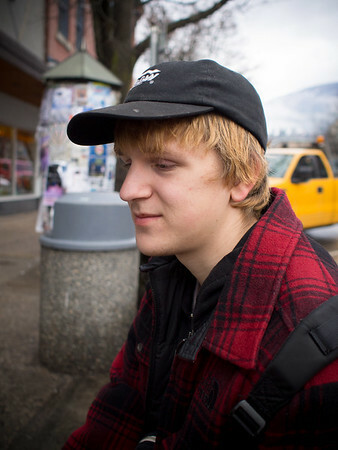 Photographer Ryan Oakley takes to the streets of Nelson, asking strangers if he can take their picture. Sometimes a bit of their conversation ends up as a caption to the photo. This is a spin-off of the popular Humans of New York. "I was almost hit by a train once. I was just walking down the tracks, I didn't have any earphones on or anything. I guess I just wasn't paying attention. It came up from behind me a blew its horn. And right before I got on the tracks, I was almost hit by a car. I had thought the driver had moved in on me when it shouldn't have. But then after the train thing, I realized I must not have been very aware of what was going on around me."